These muffins are perfect any time of the day. 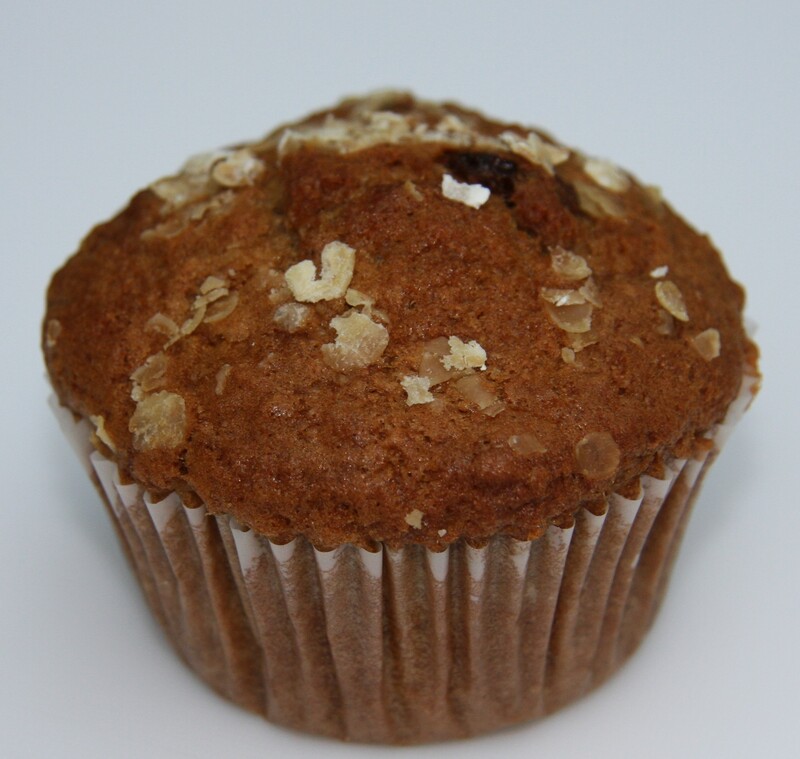 Not only are they good with a cup of coffee in the morning or tea in the afternoon, they are also a good breakfast muffin. And with oats, raisins and wholemeal flour, they are on the healthier end of the cake spectrum! Heat the oven to 180ºC. Line a 12 hole muffin tin with paper cases. Mix together the butter, milk and eggs. Sieve together the flours, baking powder, bicarbonate of soda and ground cinnamon into a bowl. Add the sugar and oats and mix well. Stir in the wet ingredients but do not overwork. Fold in the raisins. 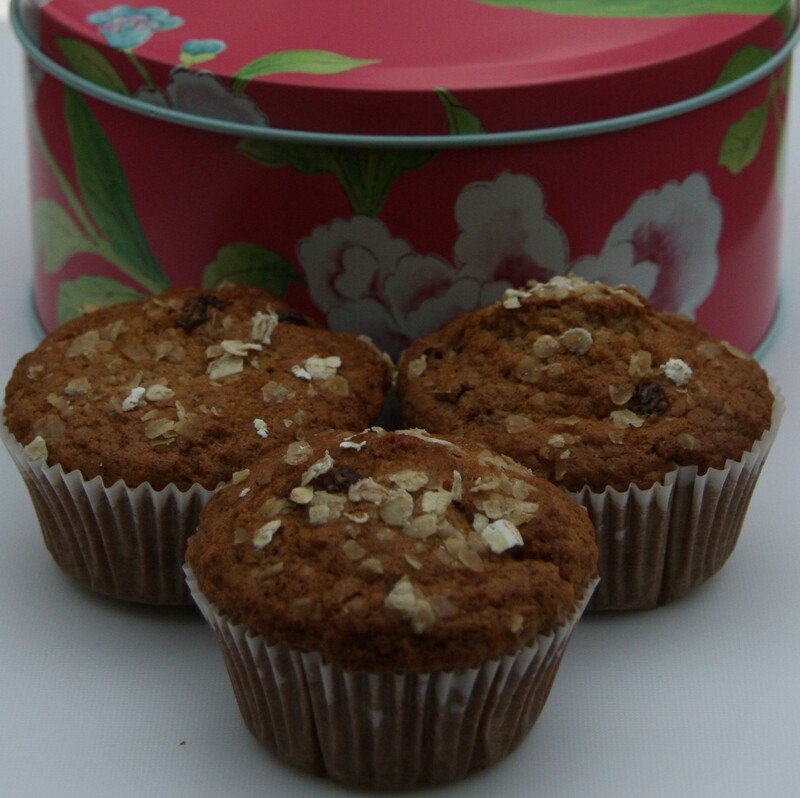 Divide the mixture between the muffin cases and sprinkle over the extra oats. Leave to cool for a few minutes in the tin and then remove to a cooling rack. These look lovely 🙂 cinnamon & raisin are fab together! Hi, thank you for your comment. Judging by your post I would think the cinnamon I used is cassia as it is just labelled Fairtrade cinnamon and wasn’t ridiculously expensive! Your cinnamon loaves look delicious.